From what you are saying , you’ll probably find that making you project as 2 cabinets is better. To make just by assembling panels you eliminate all the panels and then create 2 adjacent volumes with an nil panel upright. We don’t have a manual which we replace with the videos and forum as well as 1 to 1 training if necessary. I think there is quite a lot I need to learn as I didn’t know you could use uprights and shelves to build a cabinet from scratch. I just tried to do this and didn’t have the functions available so not sure how you created the 2 boxes like this? The reason I want to opt for one unit divided in to sections is because I feel I would get a better result with design (more accurate) and with a little less weight as will be wall hung. Is there a Polyboard manual I could have to show all possibilities? If not, I look forward to receiving further instructions on how to I can create a unit in various heights and shapes. There are quite a few ways of achieving a couple of boxes side by side as in your drawing. The easiest here would be to make 2 boxes and assemble them in a project. Michel’s method looks good, here’s another method using just uprights and shelves, there are other methods each will have it advantages and disadvantages. To advise you more, can you give us a bit more information on the project and why it has to be one cabinet and not 2 assembled. Thanks Michel, you’re a star! All clear now. ps: you can also make 1 of the vertical panels as a nill material and extend the other from bottom to top . This results in only 1 seperation panel for the complete box. Yes, it seems I am struggling to achieve the example I previously attached. Could you kindly talk me through the steps so I can get this right? Yes, it seems I didn’t upload the image properly. Hopefully I have managed to attach this now! Michel; I briefly looked in to your suggestion and yes I think this will work for me. I just need to work out a few things to be able to achieve what I want. Unless there is an easy way to insert a vertical divide exactly where the next level starts (to internally separate the unit)? Or am I able to match the different boxes to already inserted vertical divides (if more than one)? We can’t see your example files, could you upload them again so that we can see exactly what you are trying to achieve? Open the upload window by clicking “Upload Attachments” below and after dragging and dropping the files into the upload window don’t forget that you have to click the “Start upload” button to actually upload the file to the forum. 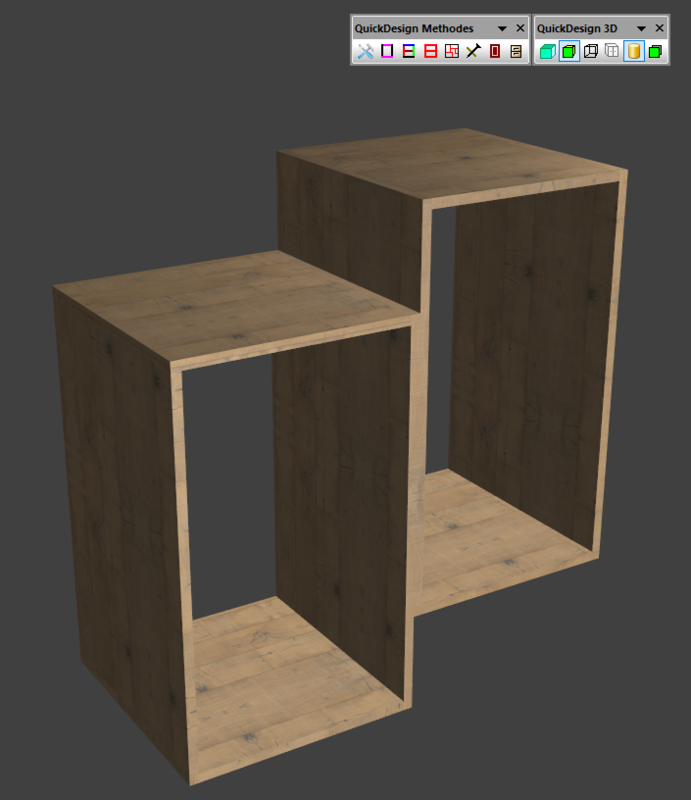 I was wondering which would be the best way to design a single cabinet with varying heights? 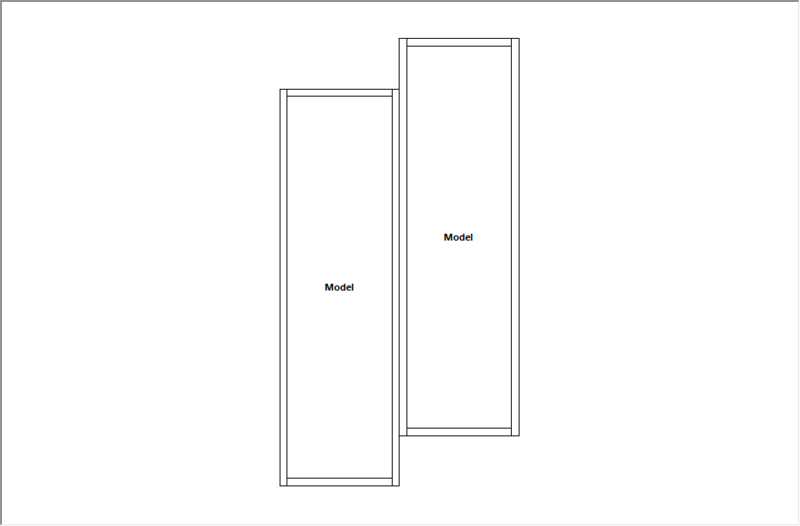 Please see my example; the only way I could create this design is if I created 2 separate cabinets and joined together. If I wanted the exact same effect, but did not want to have 2 separate cabinets (just 1 divide in centre only so it is 1 unit only), how would I achieve this?